The White Coat ceremony is a special occasion for the entering class of McGovern Medical School. This year's ceremony will be held on Thursday, August 2. It marks the day when over 200 young men and women become first-year medical students. We are proud to be McGovern Medical School, where our students can carry on the McGovern ideals of excellence, humanism, and compassion. 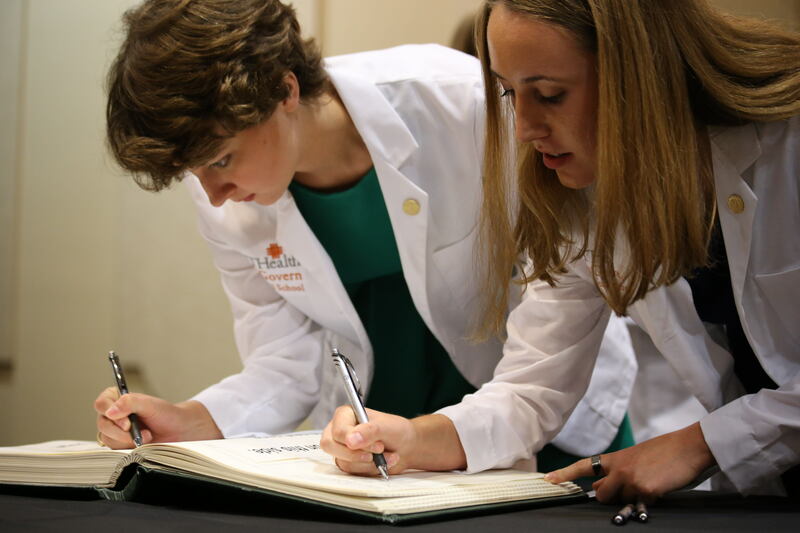 When you make your gift to the McGovern Medical School White Coat Sponsor Program you will launch the career of a first-year medical student in the best possible way. The white coat that donors like you provide is a vote of confidence as they begin their medical careers. While our initial goal of $2,000 will not provide a coat for all first-year students, it will be a good start. We plan to award 5 coats this year, and each coat will have a note from the alumni association executive committee in the pocket. We will use the remaining dollars to launch our white coat fund in hopes of providing coats for the full class in years to come. These values are at the heart of the White Coat Ceremony, which was established in 1993 by the Arnold P. Gold Foundation (our medical school held its first White Coat Ceremony in 1996). 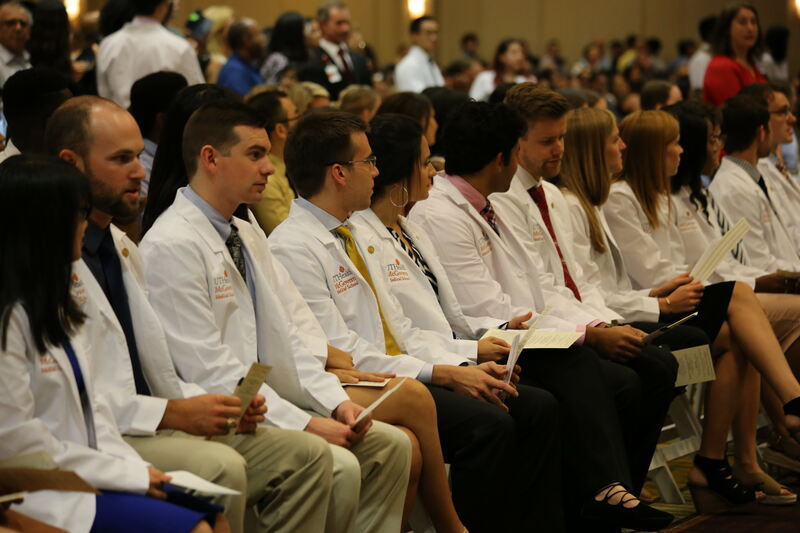 The foundation created the ceremony as a way to welcome medical school students into the medical profession. In addition to donning their white coats for the first time, students recite the Hippocratic Oath, reminding them of the sacred promise between caregiver and patient. The gold lapel pin they will receive from the foundation contains an inscription about humanism in medicine--a visual connection to our school's values. Dr. Arnold Gold of The Arnold P. Gold Foundation died on January 23, 2018 at the age of 92. He was an internationally known pediatric neurologist and professor at Columbia University College of Physicians and Surgeons. He taught the art, as well as the science, of medicine. He also emphasized the value of respectful, honest communication with patients and families--how to share good news and bad, with humility and humor. The goal of the Gold Foundation has been to promote a "Gold Standard" in healthcare--compassionate, collaborative, and scientifically excellent care. Thank you to all the alumni, faculty, friends and family who support this year's White Coat program.